Each May, the Head On Photo Festival showcases works of Australian and International Artists in what is Australia's largest and most prestigious photography event. Established in 2008, it has become the second largest photography festival in the world. The Head On Festival now marks a vital place on the Australian Arts Calendar. The festival attracts highly acclaimed photographers as well as those that are newer to the scene. Held in Sydney over three weeks, it offers free events and exhibitions as well as affordable talks by well-known photographers. This year, there were over 100 exhibitions across Sydney and the region. Dedicated to encouraging innovation and excellence in photography, the Head On Festival also offers the Head On Awards for Portraiture, Landscape, Mobile and Student works. I was pleased to have been selected as one of the 40 Finalists for the Landscape Prize with my image of a storm over Sydney Harbour. The exhibition was held at the NSW Parliament House throughout the Month of May and will be closing any day now. 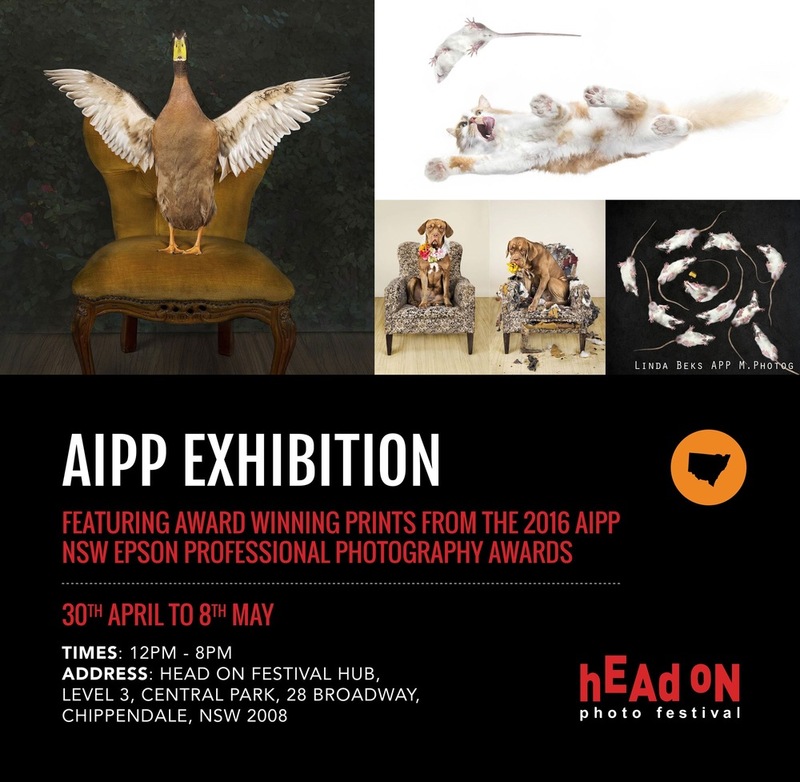 As part of the festival, I was also invited to exhibit in the AIPP (Australian Institute of Professional Photography) exhibition, having been a category winner in the recent NSW AIPP Awards. It was an absolute honour to also be asked to share insight into my work as an artist at the AIPP event one evening with an engaging audience. I was very impressed with the quality of the work produced by the AIPP members...wow, what an exhibit. Finally, I took part in AddOn, a curated exhibition featuring anonymous small square prints..no names, no titles, lots of room for interpretation. Thank you to all of those people who worked so hard to pull together this inspirational festival.